The most perfect nonsense of an album ever crafted. Challenging, bold, original, engaging yet easy to dismiss as hippie garbage. Everything you know about music will change after hearing this album and will challenge your attention span. Disc 2 especially. Don't go into this album expecting to be blown away upon first listen. Take your time with it, but try to stay away from only listening to tracks on shuffle. It is meant to be taken as a whole. 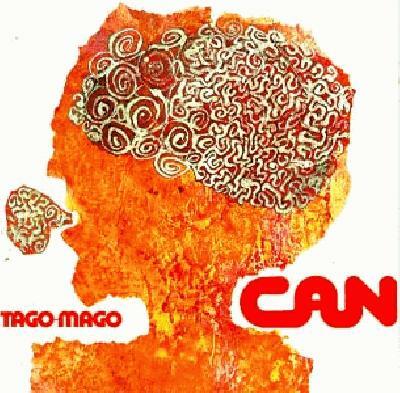 Tago Mago should be given a chance by any lover of music. Listen to it as many times through as you need to to fully understand. It is like an amazing psychedelic dream that all too quickly turns into a terrifying religious nightmare. Hard 5. A rhythmically ambitious beginning leads into a psychedelic trip. Phenomenal record, undoubtedly Can's most ambitious, rewarding the listener with some of their most appealing ("Halleluwah") and initially frustrating ("Aumgn") work. Just barely edges out Ege Bamyasi and Future Days.rJesus, what a fantastic band. The word I'd say best describes Tago Mago is entrancing. There's a quality to Can's performance on this album that gives it a hypnotic air. Skillful drumming, shrieking guitar, and enigmatic vocals makes it easy to get into the groove of the first half of the album, and right as the 18-minute jam 'Halleluhwah' comes to a a close, all of it is extinguished and Tago Mago takes a turn for the insane. krautrock psychadelic sound collage of grooving madness or someting. Well, there's no doubt this album is really well-crafted. But because of subjective elements, I don't think I can ever give it a 5. Also took me a while to "get" and I gave it a lot of listens, and I wonder if it's got to do with the "mere-exposure" effect. Bonus points for uniqueness. rEDIT: Nevermind I can totally give this a 5. Okay, well...this...was...incredible. I realized within the first couple minutes of Peking O that it all was really nearly perfect. I loved the effects, the sounds, the different styles of singing, the use of the channels, the instrumentation, everything. The one thing that I didn't like was the random finger-up-and-down-lips-babbling in the middle of Peking O that made me draw back, blink a few times, and settle back into it. It just sounded kinda out of place in an otherwise jafklsjf awesome record. Just...seriously. Since they're all really five-star tracks, I couldn't recommend a few "best" ones. But Peking O and Aumgn were probably my favourites.